Around 1796, Beethoven began to lose his hearing. He suffered a severe form of tinnitus, a "ringing" in his ears that made it hard for him to perceive and appreciate music; he also avoided conversation. The cause of Beethoven's deafness is unknown, but it has variously been attributed to syphilis, lead poisoning, typhus, auto-immune disorder (such as systemic lupus erythematosus), and even his habit of immersing his head in cold water to stay awake. The explanation, from the autopsy of the time, is that he had a "distended inner ear" which developed lesions over time. 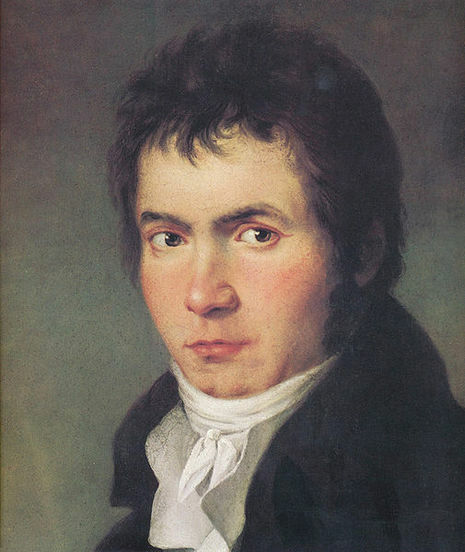 Because of the high levels of lead found in samples of Beethoven's hair, that hypothesis has been extensively analyzed. While the likelihood of lead poisoning is very high, the deafness associated with it seldom takes the form that Beethoven exhibited.